For everyone who’s been asking, thebeautygypsy.com was not updated quite as frequently last week as I’ve come down with the worst cold and flu of my entire life. Not kidding. A hacking cough, watery eyes, running nose, aching muscles, horrible headache and high fever have made getting out of bed seem like scaling the Alps. Today, however, I had to drag myself up for a simply-can’t-be-missed meeting, only to realise that even my skin has been paying the price of this horrid bug. And now my dermatologist says I should look after my skin while I am sick in order to stave off the super-deep acne, extreme dullness and flaky patches that take weeks to go away otherwise. 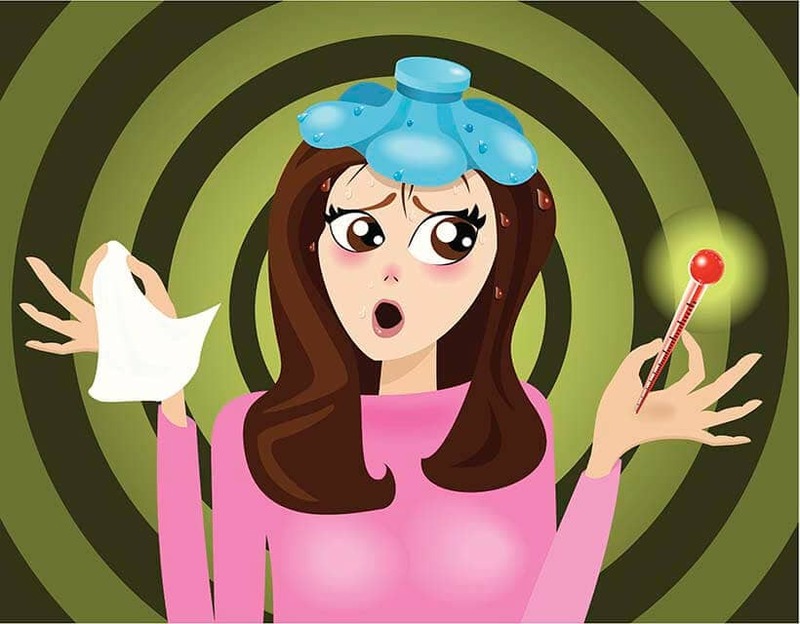 Thankfully, her suggestions are super-simple, ‘coz much as I love my beauty stuff, doing anything more complicated than blowing my nose is rather impossible between medications, itchy throats and fevers. There is nothing like an infection to make the skin look dull and completely lacklustre. Plus, the congestion is a terrific breeding ground for zit-causing bacteria. So, think mint. Lots of mint, in every form possible. Tea, face pack, face wash, moisturiser… not only will natural mint-infused oils and creams open up a stuffy nose, they also help the skin breathe and detoxify. I know, I know… this can be a pain but remember that decongestants dehydrate the skin, leaving it dry and flaky. Using a humidifier – especially at night – keeps moisture in the air, which maintains hydration levels in the skin and leaves it feeling supple (and comfortable!). Slathering on a bit of plain old honey is a terrific way of replacing the skin’s moisture and decongesting the face (while alleviating a pounding head for bonus brownie points). Blowing your nose repeatedly? Stay prepared for red, dry and irritated skin around your nostrils, even with moisturised tissues. Unless (and I learnt this too late) you dab on a bit of cream on your nose after every blow. Creams that contain lipid-rich oils and ceramides are the best bet. Or just dab on a bit of coconut oil. And by “water”, I refer to the multitude of hydrating liquids out there – including green tea, iced tea, fresh juice etc etc etc. These will flush away the toxins, flush out the germs and stop your body (and hence skin) from overheating. For an added cold-busting kick, opt for drinks infused with fresh ginger and honey. There, that’s all my energy used up for the day. I really need to get rid of this bug fast now… what’s your secret get-over-the-flu remedy? HELP!